The green shed at Cobb’s Hill at the ball fields next to Lake Riley has been a fixture for generations of softball fans, players and umpires. Along with bags of fertilizer and grass seed, inside are stacks of new softballs, some old signed baseballs and vintage gloves, dusty trophies and fading photographs. When an umpire, I was there nightly, getting game balls, taking a breather, catching a moment of the Yankees ubiquitously on an old tv, and listening to players gripe about the fields, the lights, and, yes, even the umpires. One curious item mesmerized me. 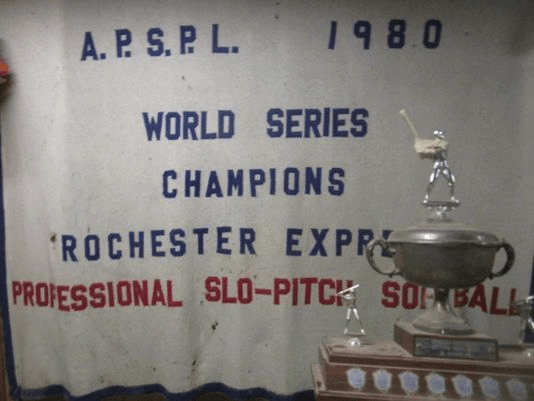 An old banner (with an old trophy adjacent) reads A.P.S.P.L, 1980 World Series Champions, Rochester Express, Professional Slo-Pitch Softball League. Upon further inquiry, I tracked down Mike DeCillis, now with a 75-and-older team found practicing many mornings at Cobb’s Hill. Back during a brief period, 1978 – 1982, when Rochester boasted a professional softball team, USSSA Hall of Famer Mike Decillis. DeCillis played for all 5 years of the existence of the Rochester Zeniths/Express of the also short-lived American Professional Slo-Pitch Softball and then United Professional Softball Leagues. 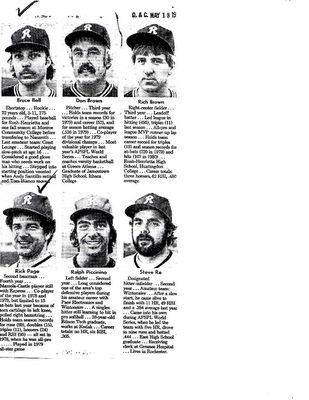 And, in 1980, the Express brought the crown to Rochester, steamrolling the Pittsburgh Hardhats in seven games. The finale in front of a raucous full house at the now-gone Softball Centre in Scottsville. Many of whom celebrated deep into the night at the Winfield (and no doubt at the now-gone Red Creek). 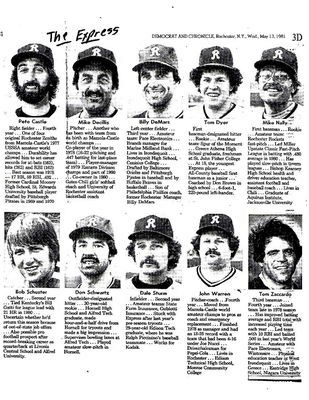 The late 70s and early 80s was probably the heyday of Rochester slow pitch softball. While recreational softball is still quite popular–look no further than Cobb’s Hill where teams party postgame, now as back in the day, deep into the night on Monroe Avenue–then there were at least eight major travel teams, including Mazzola, Al Green’s, Pace and Castle, and even more fields all around Monroe and surrounding counties. The Zeniths/Express–who played in Scottsville, Harris-Whalen Park in Penfield and sometimes at Silver Stadium–never quite gained the stature and popularity envisioned by Hill and Nucci. Crowds were good, sometimes in the thousands, but not spectacular. As DeCillis says, many of the top local amateur players preferred to stay with their own teams. And, after the soul of the team Pete Castle, died, many of the Express players began to lose interest. The A.P.S.P.L and the U.P.S.L themselves never found a permanent niche in the American sports imagination. Mike Decillis with Rochester Express uniformsBut it was fun while it lasted. DeCillis enjoyed traveling to big cities and pitching against some of the best talent in the nation. Every game was like the semi-final or final of a big time tournament. And that championship season is among the most exciting memories of his long softball career. 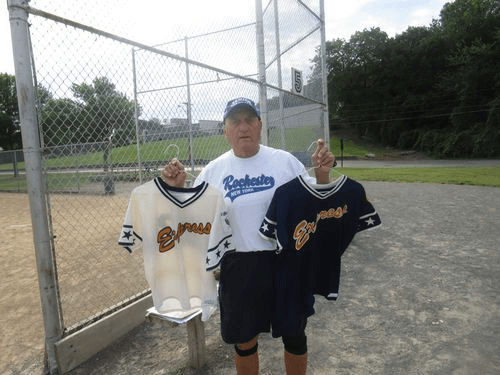 DeCillis knows memories of Rochester professional softball have faded as younger players have their day at Cobb’s Hill. But to him, he and his teammates will always be the boys of summer.